In September 2012, four months after we settled, Te Kopua Farm became available for sale. The Trust purchased this farm because of its sentimental value with a view to growing it into a profitable investment for the Iwi. 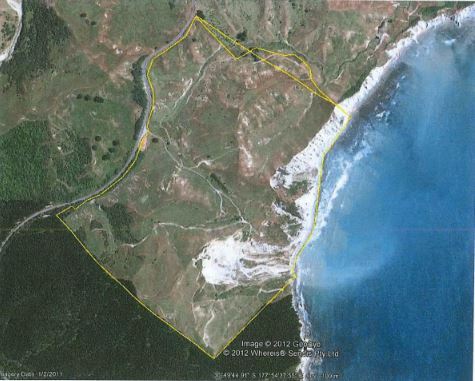 The Farm is located on Wharerata Road and is over 100 hectares in size. Te Kopua Farm is outlined in yellow in the image above.